Other Industries - Refurbished components | United Van Der Horst LTD.
With 15 T positioner, 8m3 volume stress relieving capacity & expertise in wide range of welding made United Van Der Horst ideal for repair of Roll Chocks. 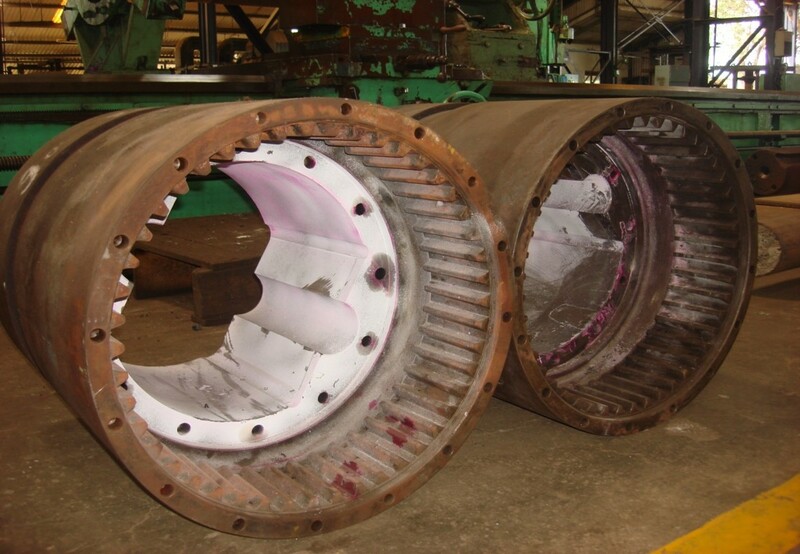 Repair includes reconditioning of Bearing diameter by welding, machining followed by grinding process to maintain the required size & surface finish, maintaining parallelism of liner faces. Repair of grease lines, Repair / Modification of Bending cylinders with New sealing design. 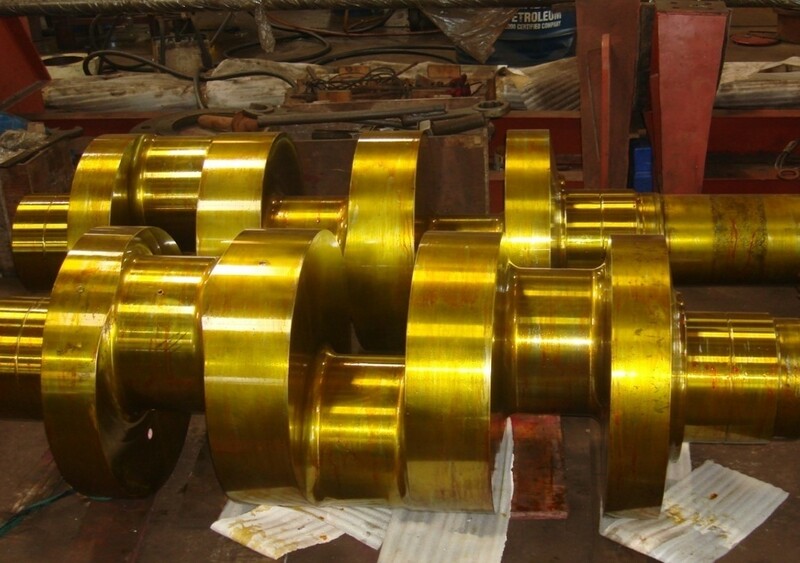 Repair includes repair of cylinder bore by welding­ machining & grinding process, Hard chrome plating of piston rods, Replacement / Modification of sealing system, Rectification of Oil paths / Drills ,Re-chasing / Re-Tapping of threaded holes, Maintaining parallism of liner faces. Load testing facility up to 250 T capacity. United Van Der Horst has also manufactured new design roll bending blocks with I.D. hard chrome plated and ground surface finish along with Low friction sealing design. 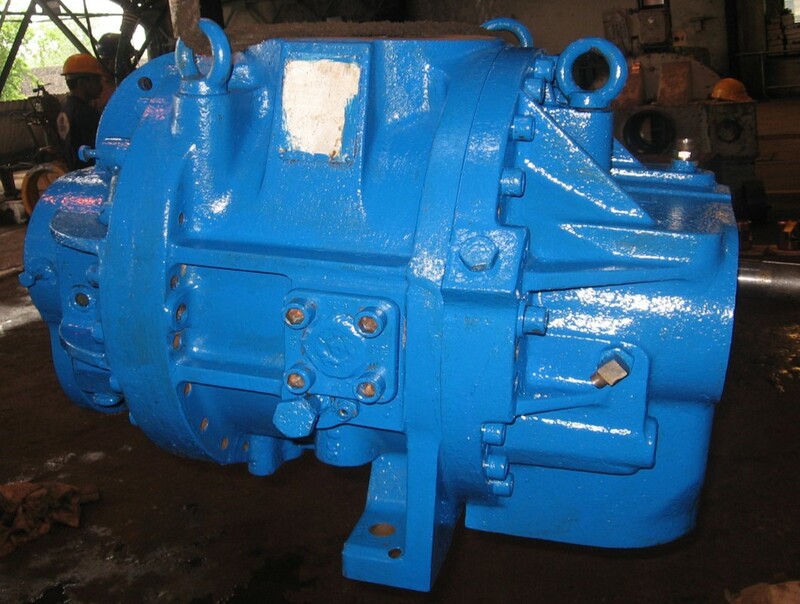 Repair includes Hard chrome plating of cylinder barrel internal diameter to bring back its original dimension and tolerance with required surface finish. Hard chrome plating of Piston rod. Replacement / Modification of sealing arrangement with New design. Replacement / Modification of position transducer, Torque tightening capacity up to 25000N-m ,NAS 3 level Servo 46 oil is used for testing. Depending on application these are reconditioned by weld build-up (based on chemistry of base metal) and/or are hard chrome plated. Super finishing is carried out wherever required. Various rolls such as back-up rolls, tube rollers, oiling drums, embossing rollers, inking rollers, pinch rolls and other rolls of aluminum from steel, paper, textile, aluminium, food, edible oil and other processing industries are reconditioned to their required size and profile. Kin Pin is a critical component of Wind Mill . United Van Der Horst has successfully developed a plating procedure for the special grade Nodular Cast iron material. 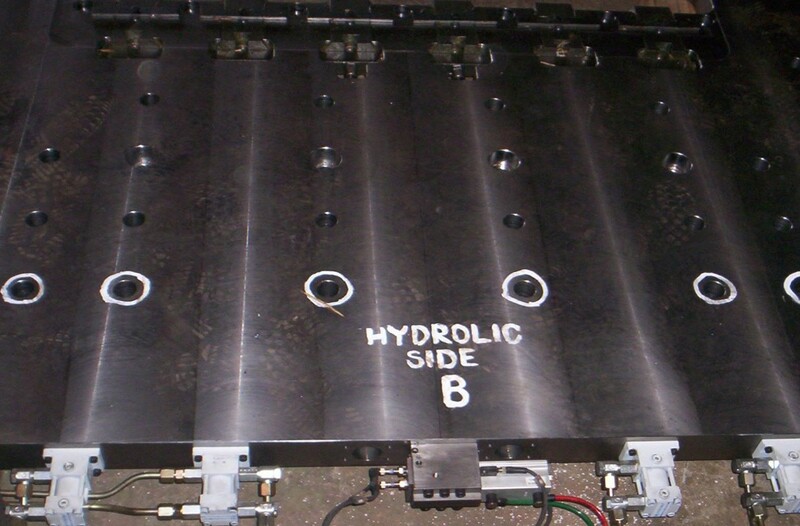 Plating has been tested under third party inspection by TATA PROJECTS for peel off test at 900 bend & Hardness achieved on these surface is min 65Hrc. Kingpin are ground with concentricity within 10 microns and perpendicularity within 20 microns. 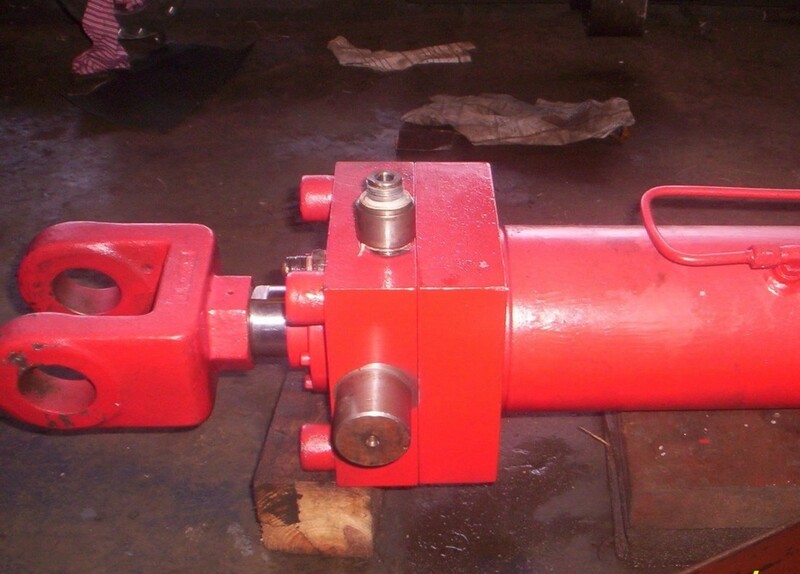 Hydro-Tester assembly is a hydraulically operated Gate valve assembly used in hydro testing of high pressure pipe line. United Van Der Horst has successfully designed & supplied Hydro Tester of pressure rating 400 bar working pressure with efficient 150 bar pressure working Hydraulic cylinder assembly. An efficient Metal-Metal sealing surface provides maximum pressure drop of less than 2% at 30 minutes hold time. 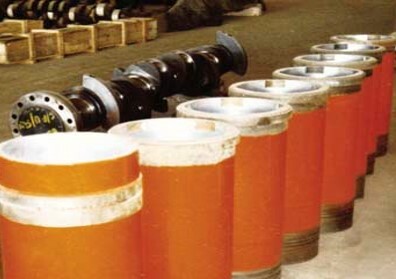 Cylinders are manufactured / reconditioned, inspected and tested in accordance with "ISO 10100:2001 : Hydraulic fluid power-Cylinders-Acceptance tests". 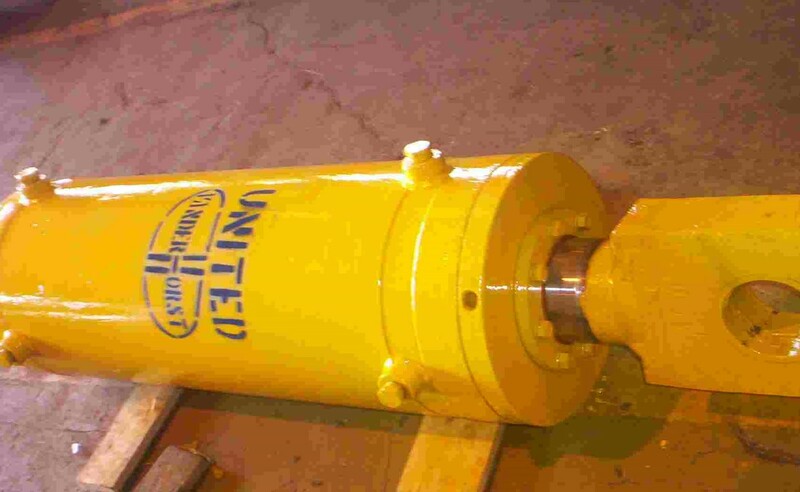 United Van Der Horst offers complete solutions including custom made new cylinders and reconditioning of worn out damaged cylinders for all industrial applications in Steel, Cement, Pharmaceutical, Automobile, Material Handling, Earth Moving, Aluminum, Power Plants, Food Processing, Injection Moulding Machines, Mining etc. 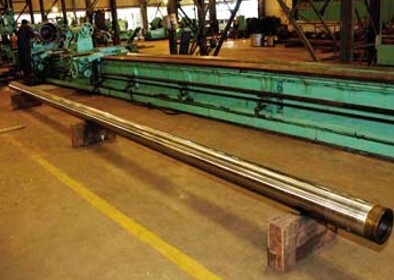 A few prestigious Hydraulic cylinders developed for steel industries would be Roll Force Cylinders / Screw Down Cylinders (AGC), Back-up Roll bending and balancing cylinders etc. with sealing solutions considering lengths and strength of bearing elements, suitable wiping elements to eliminate any kind of contamination. 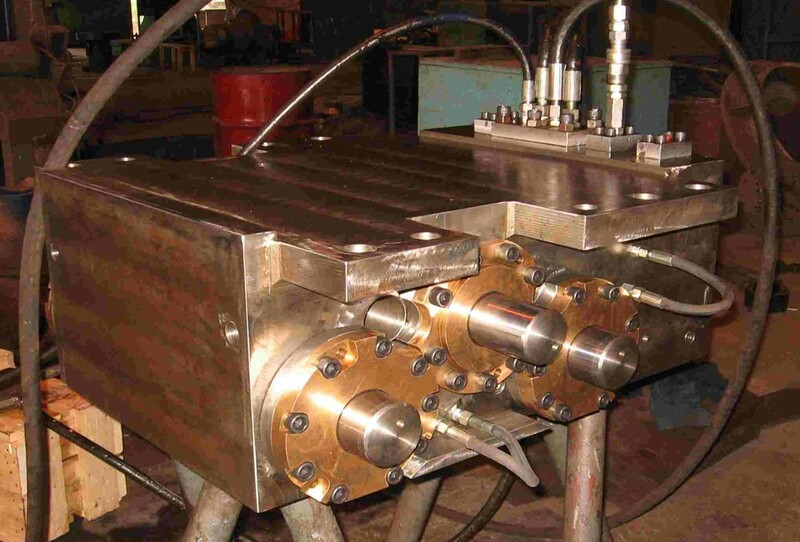 A complete package for the hydraulic system can be provided by United Van Der Horst today. Modified seals or OEM seals and Hoses with latest technology and sealing profiles from reputed manufacturers are also available. Special fittings tools also can be supplied to prevent damage to the seals while installation and for ease of fitment. The cylinders are coated with anti-corrosive epoxy paints or suitable surface treatments is carried out based on environment of service. 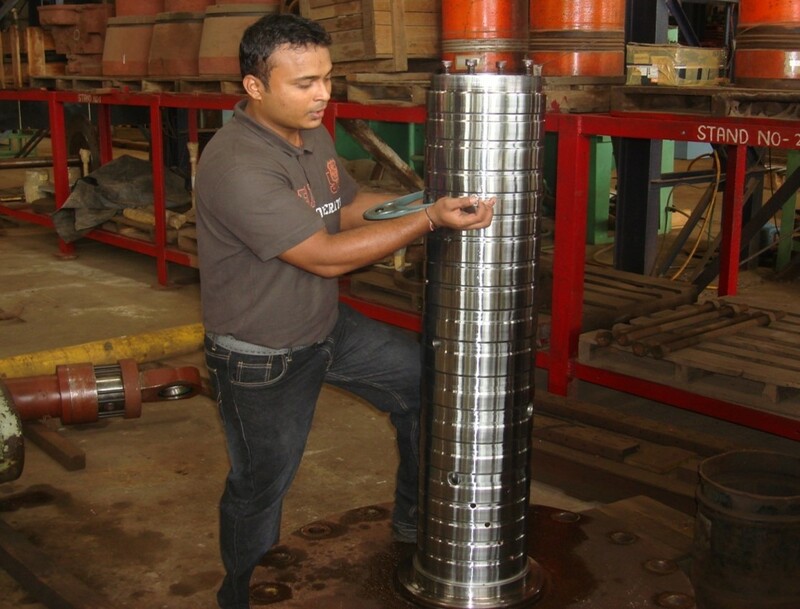 All kinds of plungers from various industries are repaired and reconditioned at our site using grinding and hard chrome plating technique. These are maintained to their original shapes and sizes. 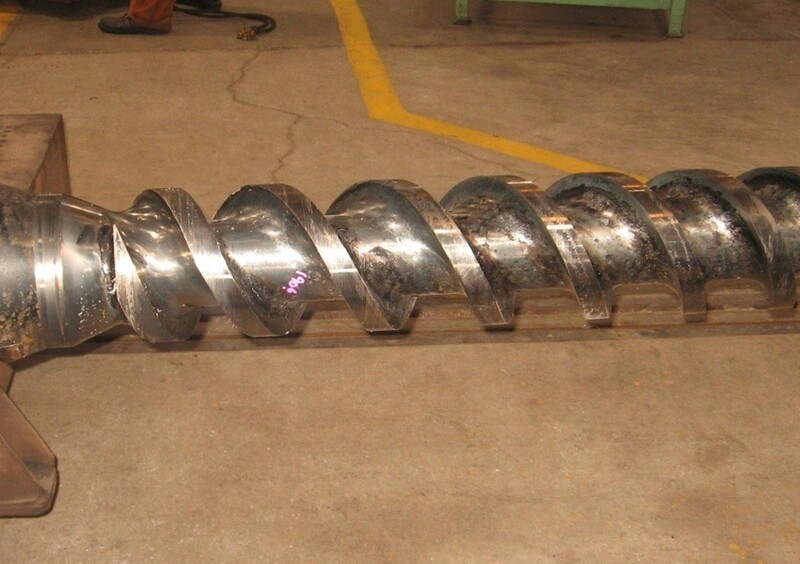 A critical component of compressor body is its "cylinder liner", Repair scope includes collapsing of Old cast iron liner & Shrink fitting of New cast iron liner. Honing of liner bore to get the required surface finish & tolerance. 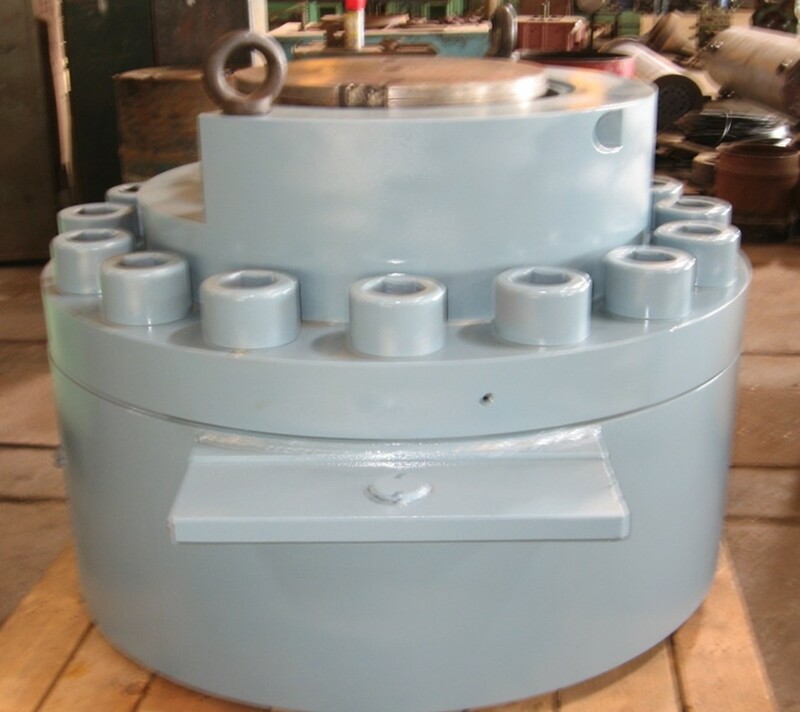 A Critical equipment used for supply of oil / water at pressure for rotating parts specially for Hydraulic cylinders in Rolling mills, CNC Head stocks. Repair scope includes repair of sealing diameters by Hard chrome plating, replacement of damaged bearings, Modification of sealing arrangement / replacement of seals. Testing of rotary joint at actual working conditions at given RPM. The procedure includes testing of material, weld build up of broken teeth with compatible electrodes, profile matching of teeth and also replacement of heavily damaged gears those which are beyond repair. 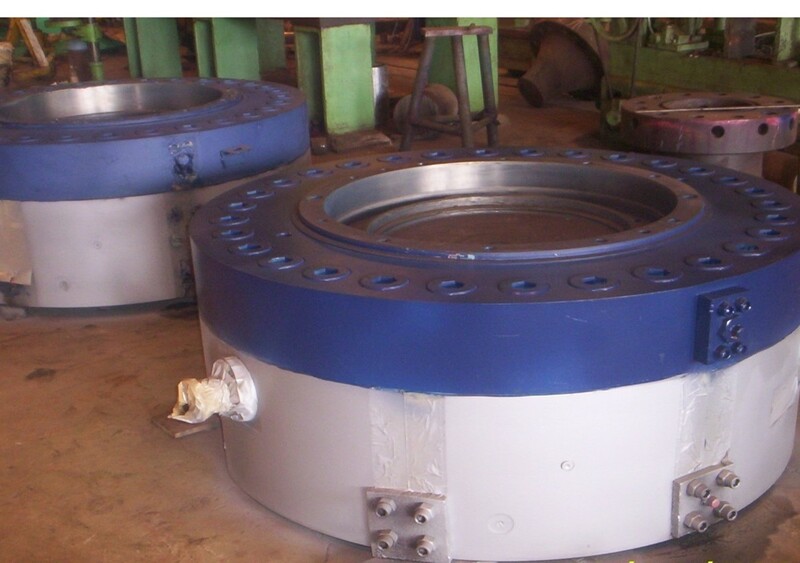 Repair and reconditioning of shaft diameters at bearing and sealing areas by weld build-up, hard chrome plating and grinding process and bring the size to its original diameter. 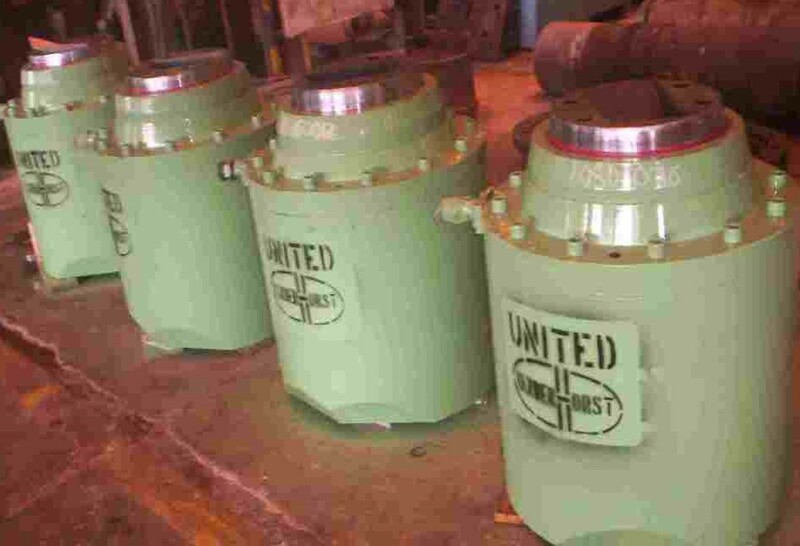 United Van Der Horst has successfully combined specialized welding technology and hard chrome plating technology for the complete reconditioning of damaged or worn out components of diesel engines such as a) Crankshafts b) Liners c) Cylinder Heads d) Exhaust Valves e) Connecting Rods f) Pistons g) Engine Blocks (Crank cases). 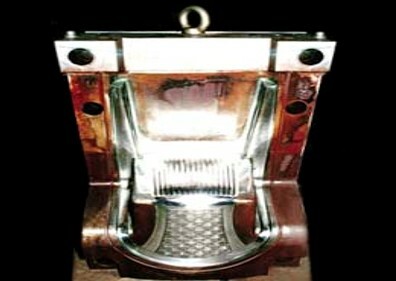 Hard chrome plating of ring grooves of piston crown for better sealing and wear resistance, porous chrome of engine liners for improved lubrication, satellite inlay on seating face of valve seat and valve spindle for wear resistance, straightening of crankshaft and maintaining the bearing diameters to its original dimensions by hard chrome plating. Since the past 2 decades United Van Der Horst has served the Industries with compete satisfaction. The entire procedure are approved by classification societies like IRS, DNV, BV, Lloyds. 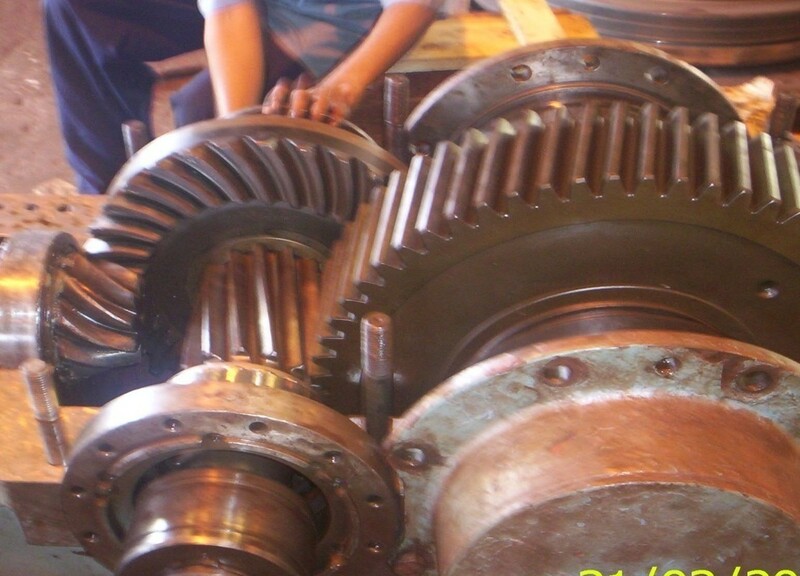 Used in processing industries as a short distance conveyor. Repair scope includes re-sizing of flutes diameter by machining followed by grinding to maintain the required size and tolerance. 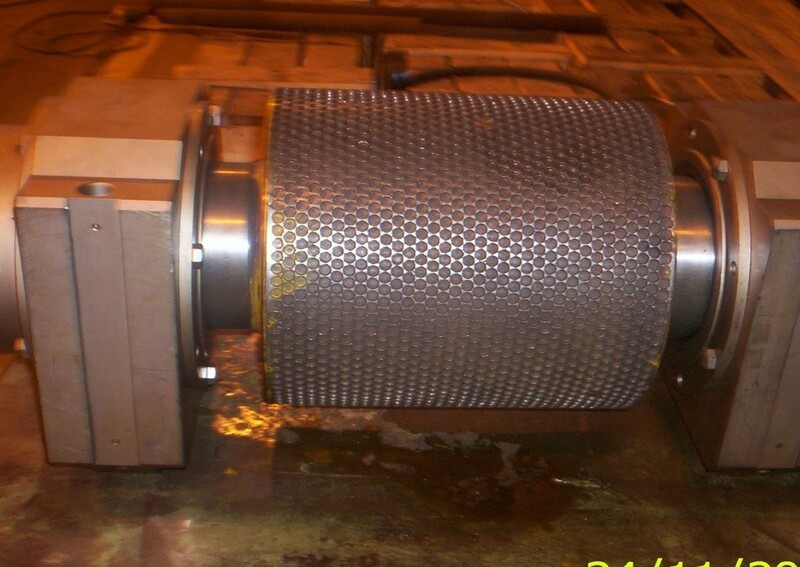 Repair of Bearing diameters by Hard chrome plating. Dimensional accuracy of 0.1 mm can be easily achievable for flutes & 0.01 mm for bearing diameters. 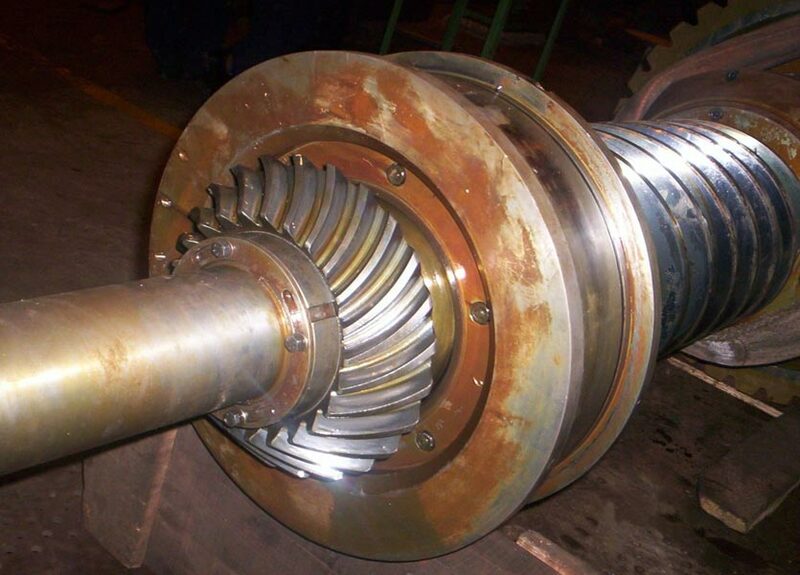 A large variety of pinion shaft used in drive mechanism usually discarded due to damaged or worn out bearing diameters. At United Van Der Horst we combined our best expertise of welding & Hard chrome plating to get damaged portions back to their original size & tolerance. 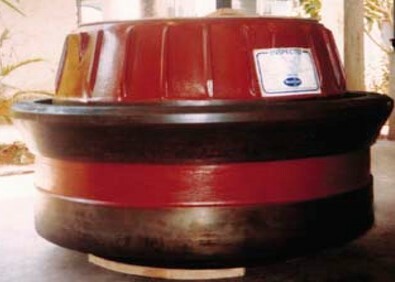 A large diameter vacuum cup used in Heat treatment plants for Normalizing/Annealing process at negative pressure (vacuum). 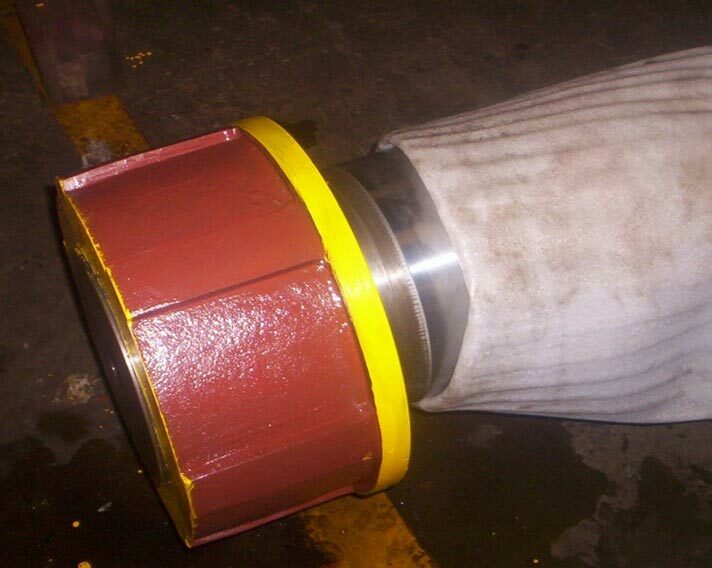 Repair scope includes re welding of all weld joints after entire NDT check. Re-Profiling of corrugate surface. Painting of both external & internal surface with heat resistance painting. 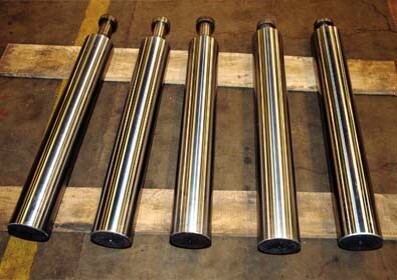 Mandrels for water treatment plant can be repaired and re-conditioned by hard chrome plating and finish grinding on CNC cylindrical grinding machine to desired surface requirements. 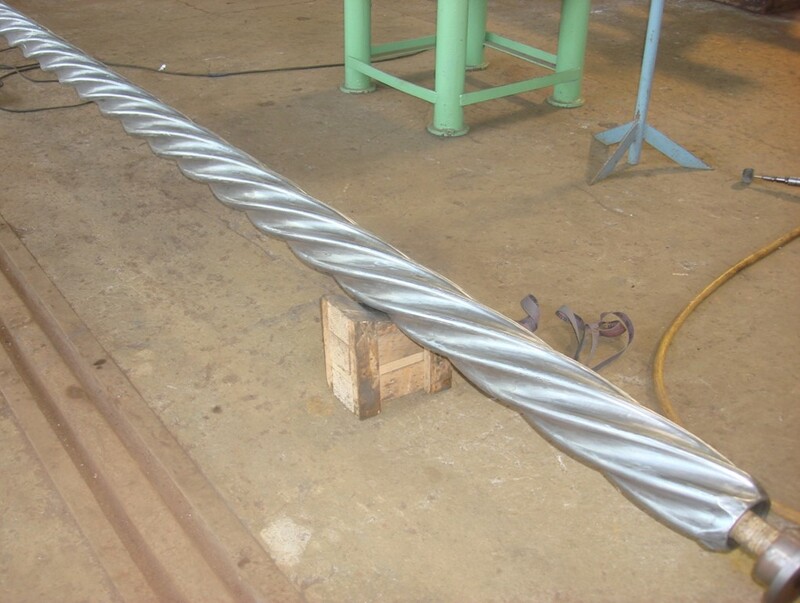 Mandrels as long as 12 meters and diameters up to 800 mm of can be re-conditioned. 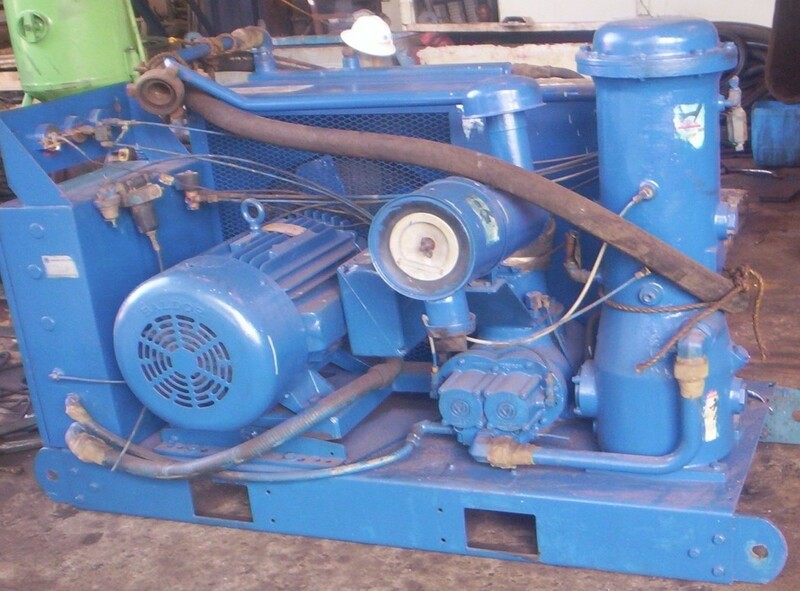 Facilities for overhauling of various types of compressors like HVAC, HP, Gas Compressors, etc both at our works and at customer site of Ingersoll Rand and Dresser Rand have been successfully carried out. Pneumatic cylinders tested in accordance with ISO 10099 : 2001, Pneumatic cylinder final examination and acceptance. United Van Der Horst offers custom made cylinders and reconditioning services for all type of single acting, double acting, hydro-pneumatic cylinders for industrial applications like Counter Balance Cylinder, Cushion cylinder, Special purpose machine, CNC machine, etc. in diverse field as Paper industry, automobile industry, steel plant, non-ferrous metal plant as aluminum, copper, power plants food processing, etc. modified seals with latest technology and sealing profiles are available. The cylinders are suitable for dry air, lubricated air, various types of gases and media as specified by the customer. 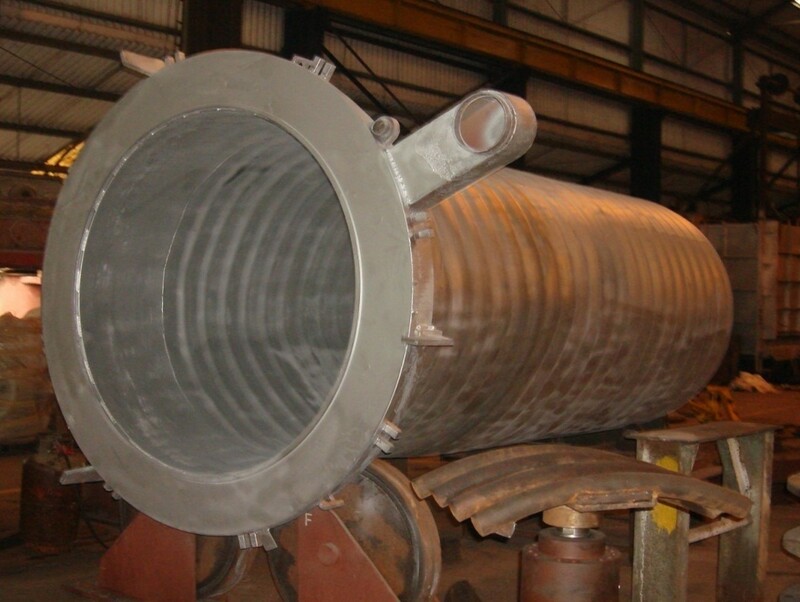 The cylinders are suitable for a service temperature of -200 C to +3150 C.
Tie-Bar is a parts of Extrusion press / Forging Press subjected to heavy Tensile & Fatigue loading. 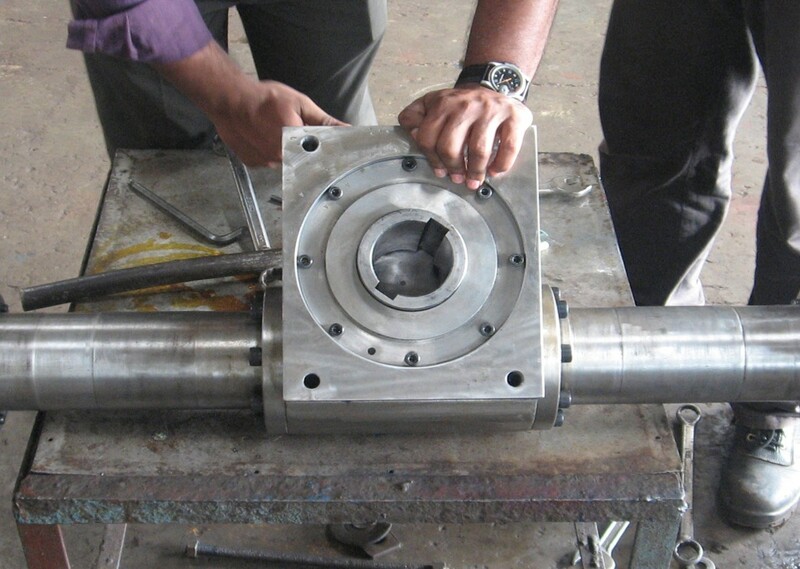 Repair scope includes joining of broken tie-bars of size 500mm diameter & length in excess to 10000 mtrs by welding & then Finish machining as per requirements. 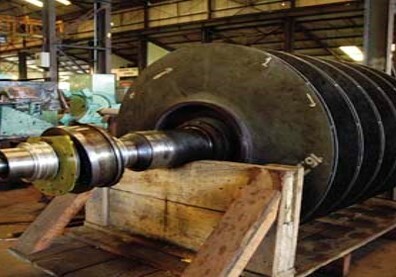 Used in rolling mills for gap adjustment between the roll & is subjected heavy fatigue loading : Repair scope includes repair of damaged threads, refurbishment of damaged bearing diameters by hard chrome plating. Calibrator Plate is a molding plate used in manufacturing of light weight building materials, These plates requires a hard chrome plated and mirror finish surface. United van Der Horst has supplied calibrator plate with surface finish value of Ra < 0.2 microns & surface hardness min 65 Hrc. Grinding of worn out areas, weld build up with compatible electrodes, stress relieving, grinding and profile matching. 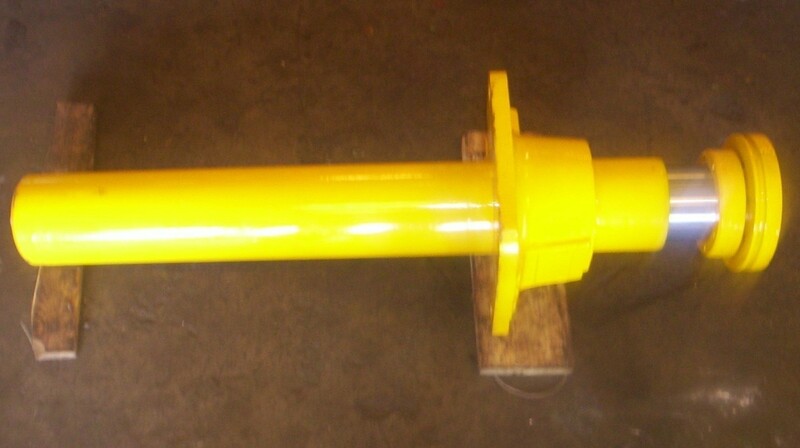 Re-conditioning of crank shaft up to 10 meters long with a swing over a diameter of 1.2 meters. 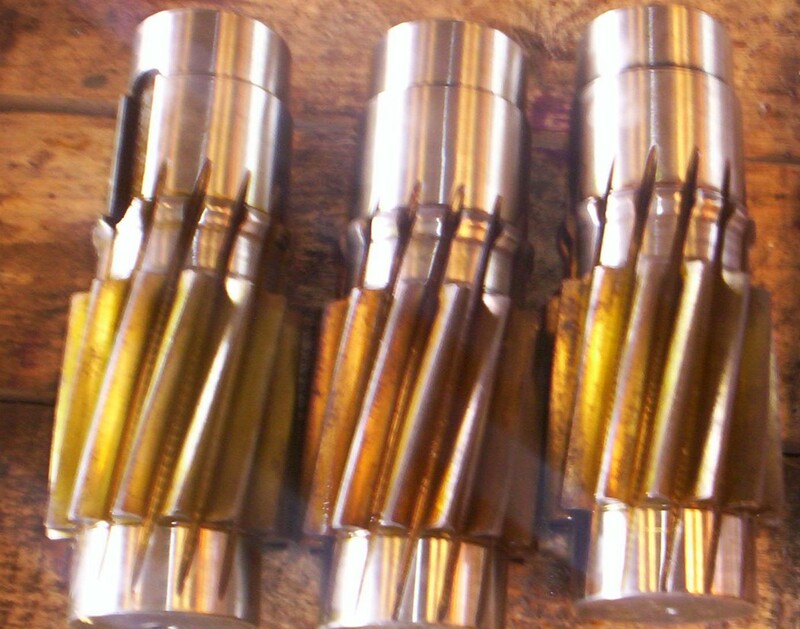 Repairing of crankpins and main Journals by juxtaposing the grinding process. 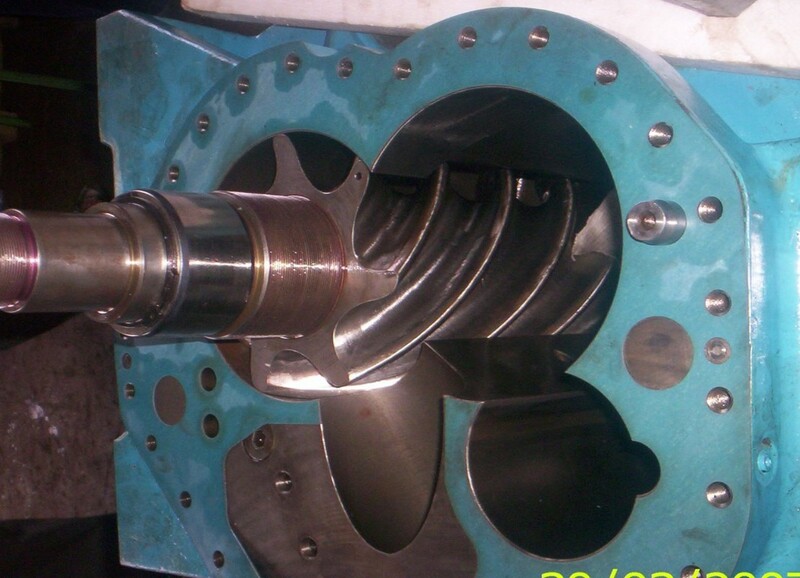 Services for crank-shaft also includes straightening of crankshaft by peening method, full dimensional inspection in addition with magnaflux crack detection. Inspection of final product is witnessed and certified by the respective classification society. Used as a damping mechanism for Over Head 10pen Yard Cranes. Repair scope includes Hard chrome plating of Cylinder Barrel & Piston rod, Modification of sealing arrangements which are compatible with Nitrogen Gas & Hydraulic Oil, Filling of Nitrogen gas at one side of the cylinder assembly & Load testing same as per customer requirements. 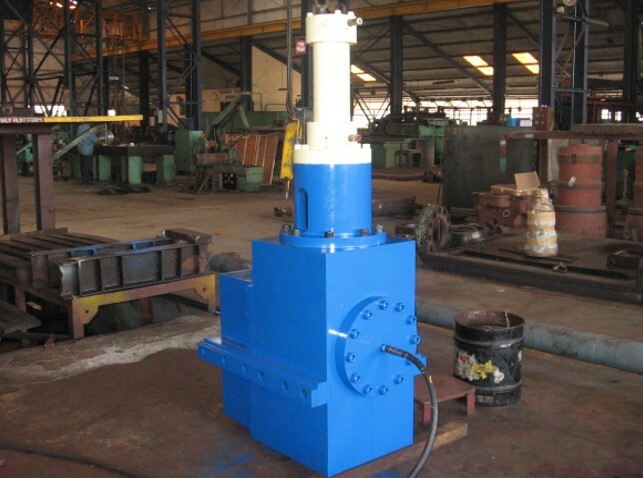 Actuators are manufactured I reconditioned, inspected and tested in accordance with "ISO 10100:2001 : Hydraulic fluid power-Actuators-Acceptance tests". 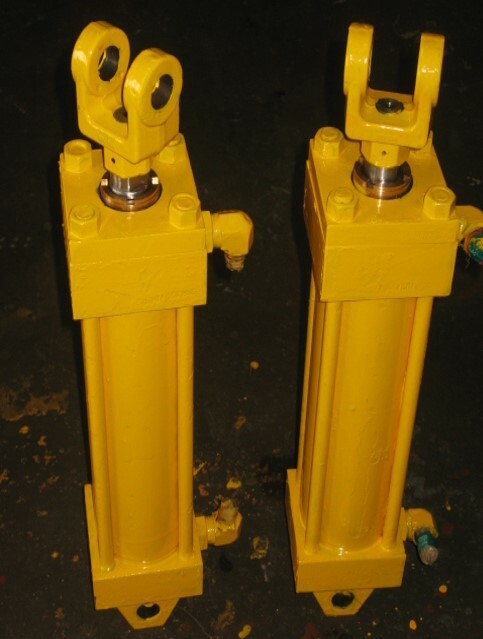 Please refer to our hydraulic cylinder catalog for details complete solution including custom made new actuators and reconditioning of worn out or damaged actuators. 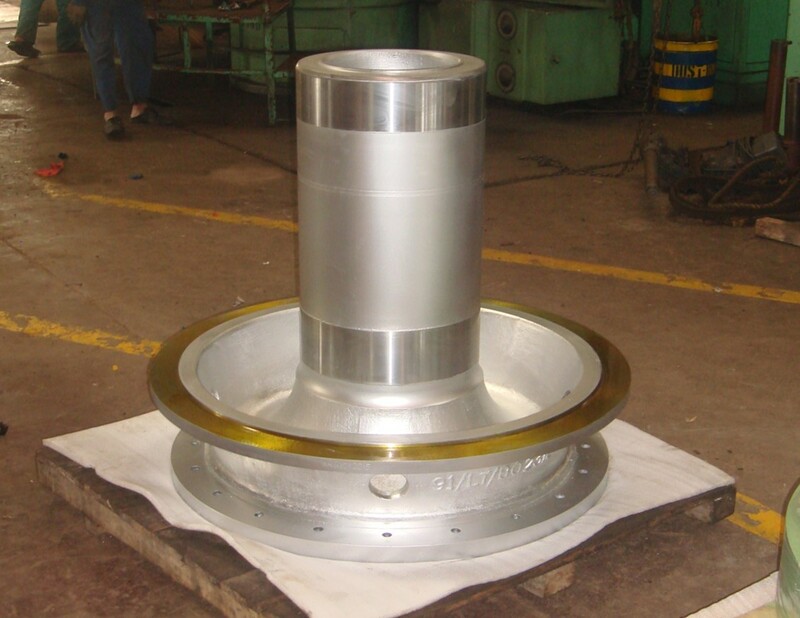 Reconditioning of internal diameters of both side bearing housing body by machining followed by weld build-up and finally finish machining to its original shape and size. Journal Bearing diameter of both the male and female screws are repaired and re-conditioned by hard chrome plating and grinding process to get the required surface finish & tolerance. Replacement of damaged bearings. Rectification of lubrication lines. 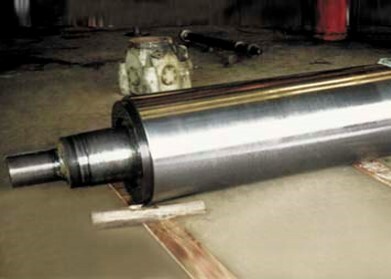 A stainless steel roll used in food processing industries. repair scope includes refurbishment of bearing diameters. 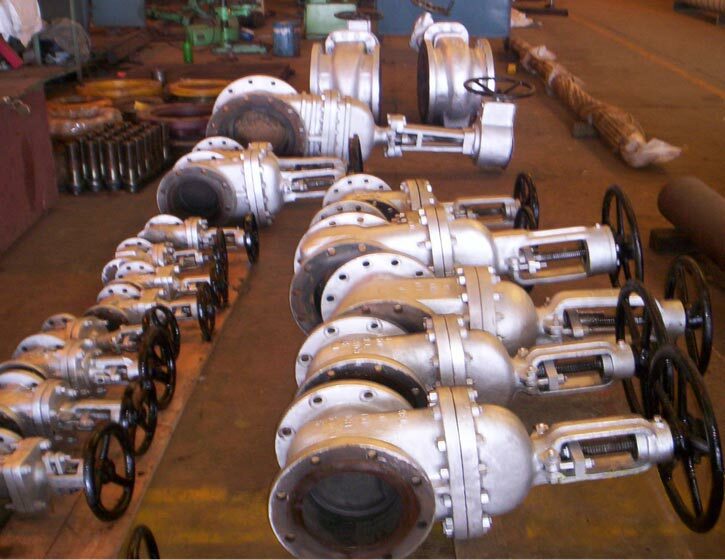 Reconditioning of all gate valves, Ball valves, Globe valves, etc. Renewal of all gaskets, seals, etc and repair of seats, gates, pressure testing of valves to test pressure as per API or other class requirements. Removal of old sleeves, fabrication of new sleeves, machining, shrink fitting of new sleeves, machining and honing of ID to required size. 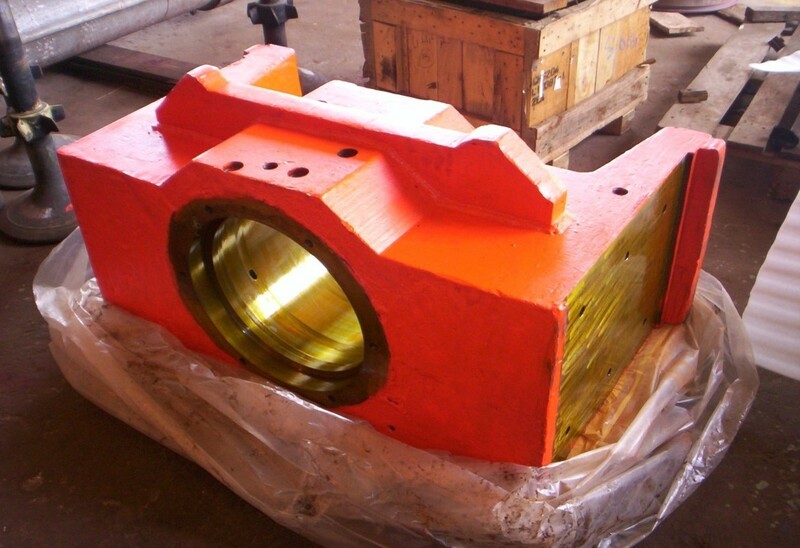 Hubs used in cement, fertilizer and other industries are reconditioned. 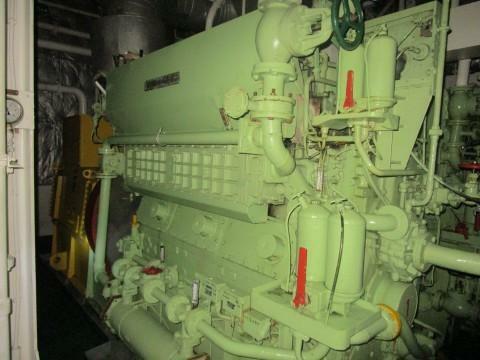 United Van Der Horst is the authorized representative for supply of Yanmar Engine, spare and servicing of engine. © 2017 UVDHL. All Rights Reserved. We will get back you soon. Keep In Touch..